It’s time for me to play some MAJOR catch up! I’ve been receiving many awards which I am so thankful for but I have had no time to actually write them up! I figured now, that I’m on break at work, I would type some up really quickly and schedule it for future dates! 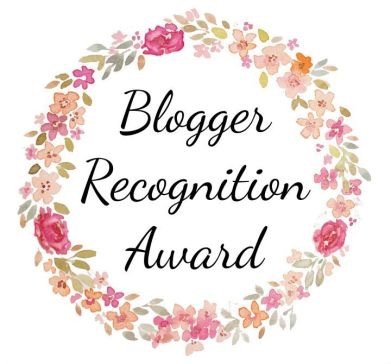 I’ve not so recently been nominated by the lovely The Floridian Girl for the Blogger Recognition Award! If you haven’t heard about the gorgeous Jenna than you are definitely missing out! Go on over and check her blog right away to see what great posts she’s been writing about ! I explained why I started blogging here. Essentially, I started blogging because I felt the need to have a hobby, to invest my thoughts, my opinions and my time into something worth while. Since I have been nominated for this award before I have advice here, here and here. It’s okay to sometimes follow the crowd. I know that it’s amazing to be leading the pack and to try new posts and come up with new ideas but sometimes we just don’t have that spark, we don’t have the inspiration to come up with something new and that is totally okay! If you’re struggling to come up with a new blog post idea just do something that has been done before whether it’s facts about yourself, a certain challenge that everyone seems to be doing or whatever it is you’re interested in! Never put so much pressure on yourself to be a creator that needs new and different content all the time; following trends every now and again is completely acceptable. Don’t worry about the numbers. Being bloggers, we often times want so many views, so many comments and so many followers but that isn’t always the case. Often times we can write up a post and we think it’s incredible and then it gets virtually no love, that is completely fine! So long as you are writing and sharing something you are passionate and happy about, you are doing amazing! Don’t worry about the followers, they will come, don’t worry about the lack of views or comments, those too shall come with time! So sorry if you’ve either been nominated for this already or if I have already nominated you. Congrats girl & thank you for nominating me! 😄 I love your advice, especially the part about not worrying about numbers. So important! I’ll go ahead and check it out soon! Thank you so very much for the nomination !! Thank you so so so very much!